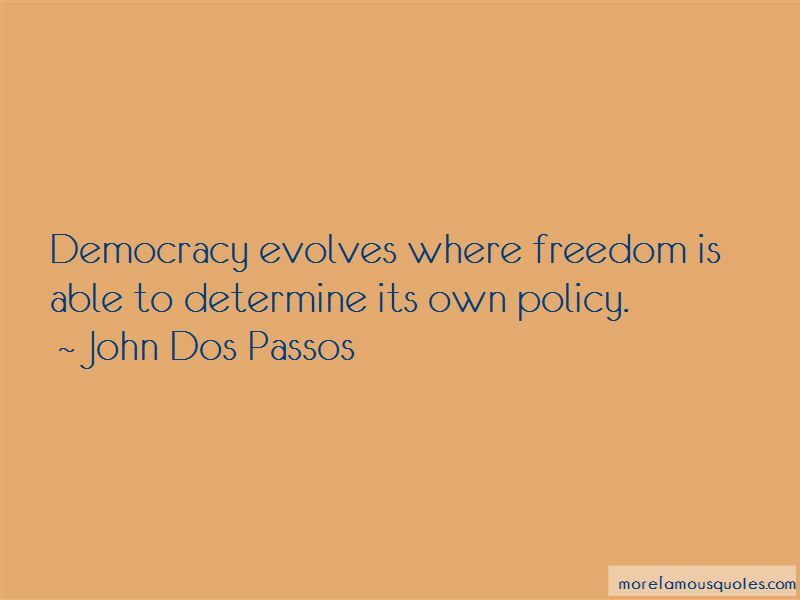 Enjoy the top 115 famous quotes, sayings and quotations by John Dos Passos. “What's the use of a lague of nations if it's to be dominated by Great Britain and her colonies?" said Mr. Rasmussen sourly. "But don't you think any kind of a league's better than nothing?" said Eveline. "It's not the name you give things, it's who's getting theirs underneath that counts," said Robbins. "That's a very cynical remark," said the California woman. "This isn't any time to be cynical." Between Don Quixote the mystic and Sancho Panza the sensualist there is no middle ground. So many Americans felt that their neighbor had no right to know more than they did. “I wonder if any of you have ever noticed that it is sometimes those who find most pleasure and amusement in their fellow man, and have most hope in his goodness, who get the reputation of being his most carping critics. Maybe it is that the satirist is so full of the possibilities of humankind in general, that he tends to draw a dark and garish picture when he tries to depict people as they are at any particular moment. The satirist is usually a pretty unpopular fellow. The only time he attains even fleeting popularity is when his works can be used by some political faction as a stick to beat out the brains of their opponents. Satirical writing is by definition unpopular writing. Its aim is to prod people into thinking. Thinking hurts. Men are under as strong a compulsion to invent an ethical setting for their behavior as spiders are to weave themselves webs. Eh Bien you like this sacred pig of a country?" asked Marco. "Why not? I like it anywhere. It's all the same, in France you are paid badly and live well; here you are paid well and live badly. 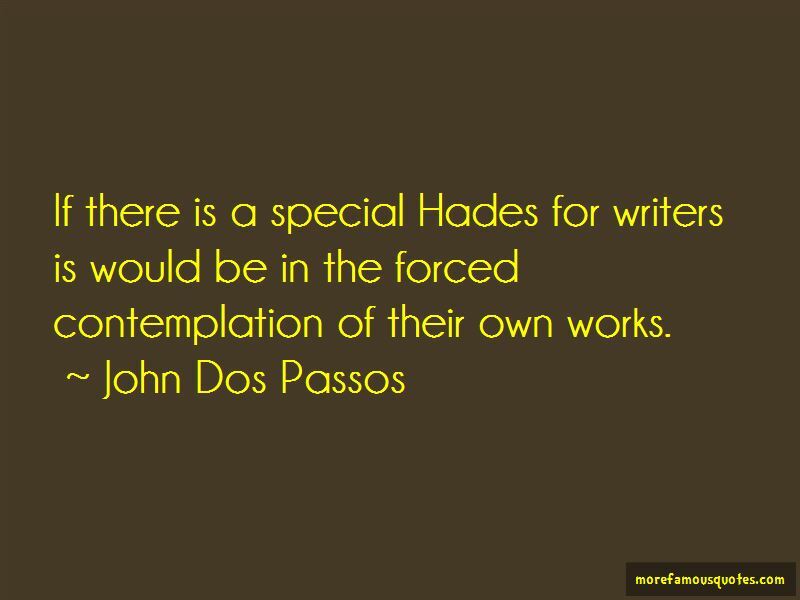 Want to see more pictures of John Dos Passos quotes? 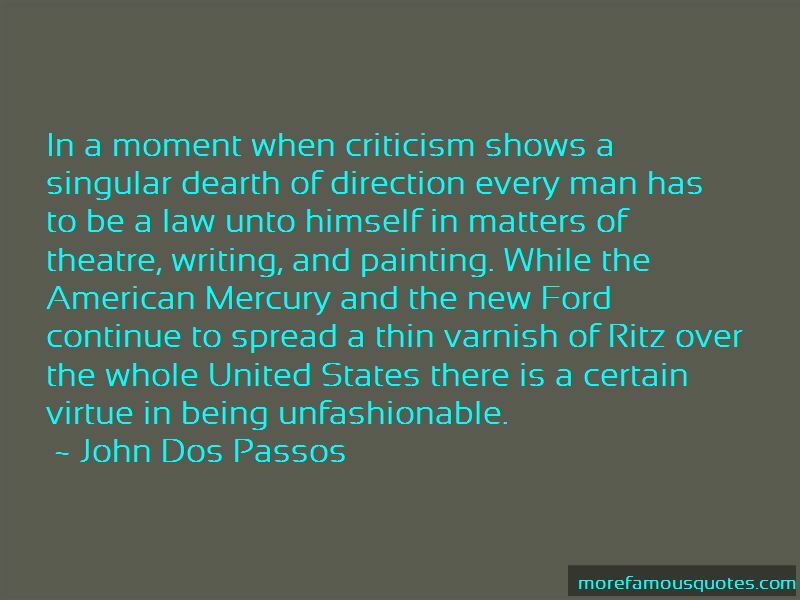 Click on image of John Dos Passos quotes to view full size.